You could be one of the lucky Members enjoying the tropical breeze and sandy beaches of the Dominican Republic at the first annual ClubLink Punta Cana Championship. 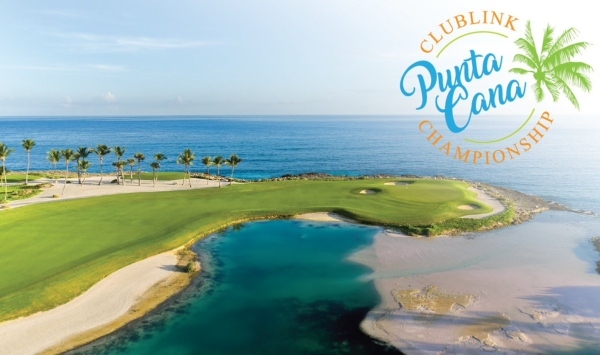 Taking place from March 24-29 at Punta Espada Golf Club, Members are invited to sign up for an unforgettable five days filled with golf, food and fun on the Caribbean island. Inside the city of Punta Cana sits Cap Cana, a private retreat consisting of over 30,000 acres of beaches and spectacular views of the beautiful turquoise sea. ClubLink Members get to experience the wonders of this small retreat while staying at the world-renowned Sanctuary Cap Cana Resort. During your time off the golf course you will enjoy five-star comfort and services, sometimes making it difficult to leave the resort for your tee off time. For more information on the resort and the tournament itself, click here. Punta Espada Golf Club is a Jack Nicklaus Signature Design and very quickly became a must play for anyone looking to the Caribbean for their next golf trip. Learn more the Nicklaus Design website here. And – as we all hibernate during the Canadian February cold – invest eight minutes into this aerial fly over of all 18 holes. To book or for additional information, please contact Jeff Knuth at Merit Golf Vacations either by phone at 416-364-3775 ext. 4261 or by email at jknuth@merittravel.com. We look forward to seeing you in Punta Cana!